Kids of all ages who live in Las Vegas will find plenty to explore at the Discovery Children’s Museum. Since the doors opened in 1984 inquiring minds have been walking the halls of this eye opening Las Vegas property. 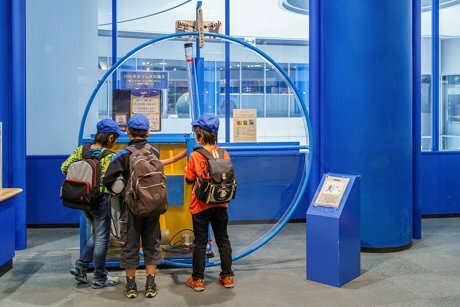 With a focus on science, there are both ongoing and rotating exhibits as well as special events designed to heighten the senses and increase awareness of what’s around us. Step into a world of wonder and travel back into time when entering the Fantasy Festival exhibit. Guests stroll into medieval times and take on the roll of royalty living in a castle or become a marauding buccaneer on a pirate ship. Water World embraces the impact water plays in all environments. Hands on activities here include maneuvering balls and boats through structured water ways to more intricate interaction with models of the Hoover Dam, Bypass Bridge and Lake Mead. Toddler town is a place of play put together for the littlest guests. There is a reading room, art spot and area to learn about the animals that live in Las Vegas or near by. Other sections include Eco City, The Summit and Patents Pending. Many traveling displays rotate through so return trips are a must. As the museum is open seven days a week it’s easy to plan a visit. Operating hours are Monday through Saturday from 10 a.m. to 5 p.m., and Sundays from 12 to 5 p.m. Locals love to bring a picnic lunch and enjoy it later in the day in the designated eating areas or outdoors at Symphony Park. There are also snacks available for purchase inside the museum. Residents may be interested in becoming a Discover Children's Museum member. Perks include unlimited admission and discounts. Check it out today.